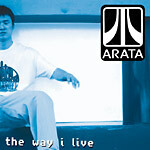 All the way from the Japan, Arata's much anticipated, first full-length album! You may not understand what he's saying but this guy loves hip hop and theres always a place for him with the Living Legends fam. Support international hip hop! Produced by DJ Madd. Except track 2 & 8 by Shukami. Cuts by DJ Madd.